Lack of respect is one of the key reasons many couples get divorced. It is one of the major marriage problem signs. It destroys love, connection, and intimacy. Many individuals and couples that join my online save my marriage program, share that respect has been missing or lost in their relationship. 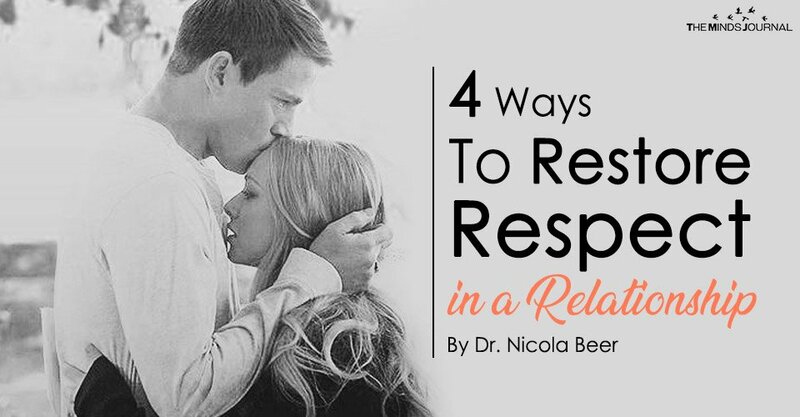 So I wanted to address what respect is in a loving relationship and how you can restore respect if it is missing. Dr. Emerson in “Love & Respect: The Love She Most Desires; The Respect He Desperately Needs” says that women most need to be shown love and men most need respect in a marriage for harmony. I agree with Dr. Emerson’s notion, however, men also need love and women need respect, as does the relationship. As mentioned, it’s definitely one of the marriage problem signs. 3 compromise and negotiate with your partner respectfully. While this sounds very simple the stresses and strains of modern day life can easily lead for respect to go. We probably all at some point have been guilty of taking our stresses out on our partner. But if this has become a constant way you relate, then you need to take action quickly to restore it. As I mentioned a lack of respect can lead to divorce. When rebuilding respect it is important to know that respect is not just the absence negative behavior, but also the presence of positive behaviors. Sara felt her husband was not respecting everything she was doing, raising the three children, running the home, organizing all the weekend activities, holidays and family gatherings. They both thought that each other had it easy. Sara said “I’d love to be able to escape to the office or go on a business trip and take a break. I get no break.” She had shared this several times with Keith at home and he became furious saying his trips are not a holiday but hard work, long hours and lots of pressure. This lack of respect for each others’ roles led to a lack of respect in the way they communicated. They spoke down to each other using sarcasm or criticism rather than be kind at first. When they started the online program they were barely communicating. Slowly the relationship was shutting down. The chances are you agreed on the roles you were going to have in the marriage and home. The biggest way to show respect is to support and appreciate each other’s efforts. Compliment and thank your partner. We all like to be praised for the efforts and gifts we bring to the relationship, even if it is our role. This restores respect because being noticed and valued is important. Another way to show respect is to be there for each other if one of you is having a difficult or tough time. Where you listen without trying to fix the problem. You act respectfully when you show support for them during these stressful times. For example; you could offer her/him a “sleep in” on the weekend, a power nap or message if they are tired. Or encourage them to take some time out for themselves and do something they love. This is critical for a supportive close relationship. The first step in respecting your partner’s opinion is to ask for it. Decisions that affect you will often affect each other. As Steven Covey said “The key to commitment is involvement” I heard that when I was 20 and have been using it ever since for all personal and business relationships, sharing my thoughts and asking for input from others. When you involve your partner you are demonstrating respect and honoring their value. Reem was angry that her husband was always constantly asking her what to do all the time when it came to her children. “So do you tell him that,” I said? Reem’s constant criticism had led her husband to not want to take decisions for fear of being moaned at. Then Reem became annoyed that he was asking her opinion on everything. I suggested to Reem that if she wants this to change she needs to empower her husband and let him decide what he thinks is best. So she agreed to try the sayings “whatever you think” or “it’s your call” and not to moan if she didn’t like the choice he made, as she, after all, encouraged him to take the lead. This simple statement shift made a HUGE difference in their marriage. He felt respected and she felt less burdened. A world-renowned expert in relationship psychology and transformation. I have been fortunate over the past ten years to help thousands of men and women across the globe to live love filled and vibrant lives through healing relationships and childhood trauma, as well as their relationship to food. 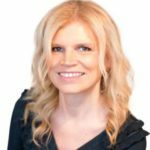 In addition to co-authoring 4 international best-seller books, I have been featured on ABC, CBS, NBC, Fox News Network, Huffington Post and Wall Street Select.